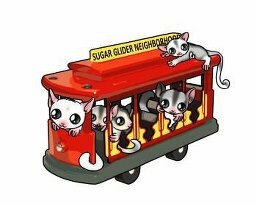 For those of you who have purchased your gliders from any of the Mill Breeders/Brokers, I am working with a Journalist who is going to be publishing an article about Mill Breeders and their poor practices in a Pet/Veterinarian Journal. under age, malnourished, physical problems, behavioral problems, or death. I know it's difficult, but your story can help make a difference. If you're interested, and are willing to talk to our reporter, please PM me your phone number and the time of day that you will be able to talk with her.